Canal Link's aim was to investigate how the region's network of navigable waterways can be further developed, based on the cultural and environmental heritage of the waterways themselves. Promotion and development of economic activity and entrepreneurship, based on the cultural heritage and tourism on inland waterways. Through Canal Link the value of waterways as a catalyst for regeneration of urban and rural areas has become increasingly recognised, together with the need to ensure that waterways are better integrated with adjacent land uses. As a key result the Canal Link project carried out a study into opportunities for developing yachting links between canals across the North Sea, particularly between Scotland and Scandinavia. Following this approach initial follow-up promotional activities were undertaken, including provision of better information and the development of travel packages. Further improvements were made to canal entrance harbours to provide a better welcome for visiting yachtsmen. Another main achievement was the classification of a recreational waterway network of the North Sea Region according to the proposed United Nations Economic Commission for Europe (UNECE) classification system. Therefore an initial assessment of gaps and bottlenecks in the network was made, followed by actions to contribute to the extension of the waterway network in the region. Additionally a specific investigation into the issue of waste water from recreational boats was carried out (which may have implications in terms of the Water Framework Directive). A range of actions were undertaken in relation to stimulating economic development and entrepreneurship. This was underpinned by bringing together model techniques for appraising and evaluating waterway projects in economic and social terms. Environmental improvements to make former industrial waterside areas more attractive for inward investment. 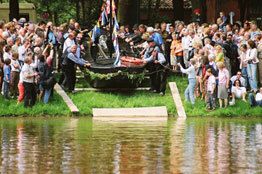 The project stimulated a number of innovative ideas in terms of tourist development on waterways including travel packages and trailer links between canals as well as piloting ways of involving the public in projects through the use of GIS-based platforms (in association with the Geoshare project). Also, it has looked at new mechanisms for funding the restoration of waterways – for example, it is anticipated that a substantial part of the funding for the restoration of the Bradford Canal will come from the private sector, through planning gain. Additional investments and activity generated through Canal Link will be implemented by partners, again under the Canal Link banner. 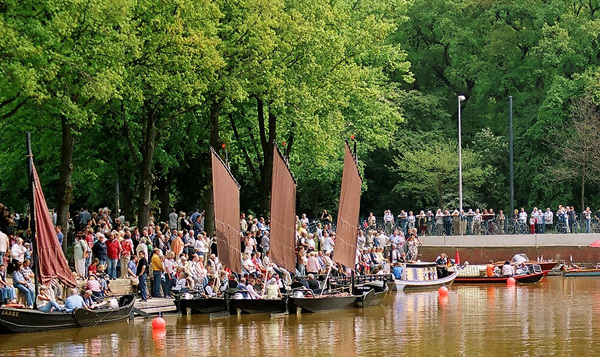 These range from further restoration work on the canals in Langedijk and the restoration of the Bradford Canal to business and product development activities in Varmland and Telemark and to the implementation of landscaping works in West Flanders. The project involved the public and private sectors as well as the voluntary sector and the general public. The most successful way to involve cross-sectoral stakeholders was found to be to involve them directly in the project as sub-partners. By involving sub-partners in the delivery of activities, greater ownership and enthusiasm was generated amongst local stakeholders, leading to better quality projects being created. Also the sub-partners used their own local networks to involve even more organisations in the project, particularly from the private and voluntary sectors. Joint transnational cooperation was essential for many aspects of the Canal Link project. Providing an international framework within which partners could work more effectively, in terms of common frameworks and approaches (the classification system for inland waterways, waste water research, economic impact methodologies etc.) and joint working between partners (yachting links across the North Sea, international stimulation of entrepreneurship, GIS-mapping etc.). All partners gained greater insights into the complexities of the sustainable management and development of Europe’s waterways, with the need to balance economic, social and environmental factors as well as deal with potential conflicts (and of course synergies) between different uses of water. 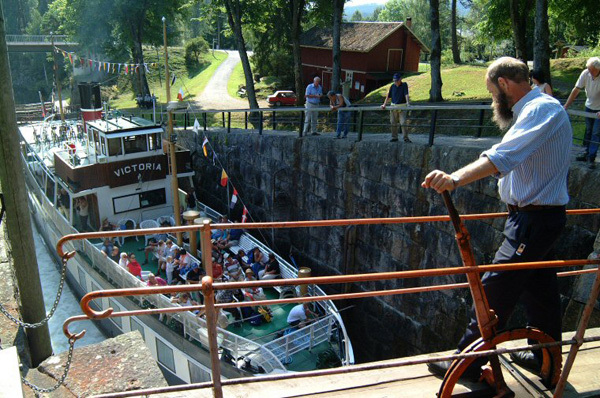 Canal Link raised awareness at both national and EU levels to see the importance of the inland waterway network of Europe for tourism and recreation, and as a catalyst for the economic, social and environmental regeneration of communities. The United Nations Economic Commission for Europe (UNECE) classification system forms a basis for defining this network. The Canal Link pilot work undertaken in relation to this will be used to feed back comments and conclusions to the UNECE Secretariat regarding possible recommendations to national states. In the long-term, this might form the basis for a future EU initiative in this area. The report on waste water from boats will be fed into research in relation to recreational waterways being undertaken in connection with the implementation of the EU Water Framework Directive. The lessons learned through Canal Link will be spread to waterways in Southern and Eastern Europe, through the connections made with the Interreg IIIB Baltic Sea Inwater project and via the Interreg IIIC VNE network.